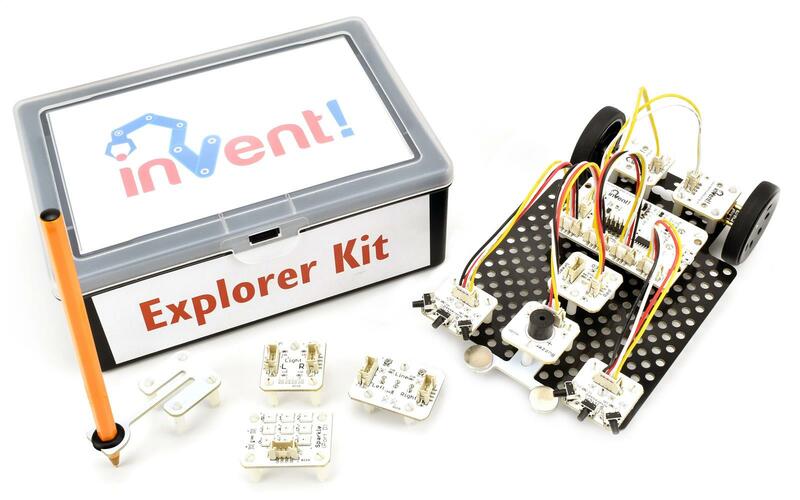 Building on the Junior Starter Kit, the Explorer Kit includes extra blocks such as a line follower, light sensors, LEDs and a pen holder, that unlock another 10+ hours of online teaching material. 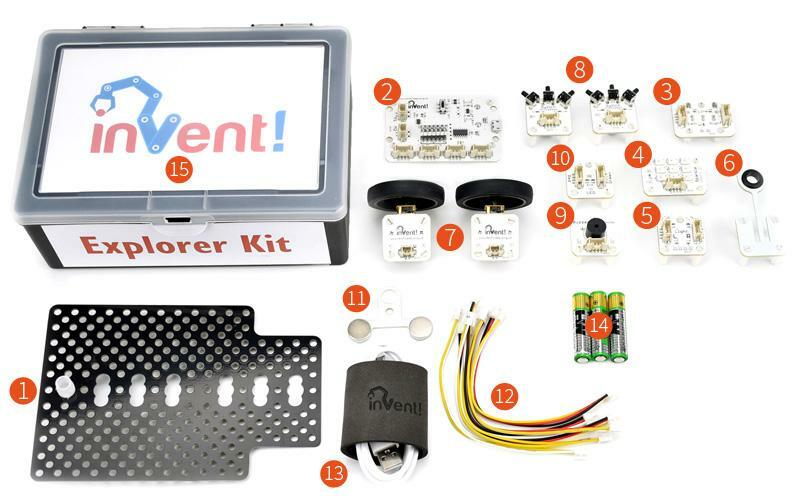 This version based on a more affordable, even easier to use platform than our normal Starter Kit, specially designed for educational use, with instant, driverless programming using a straightforward drag-and-drop interface. Perfect for ages 7 and over, the kit pairs with 10+ hours of online curriculum and tutorials, for both students (and teachers!) learning programming from the ground up.